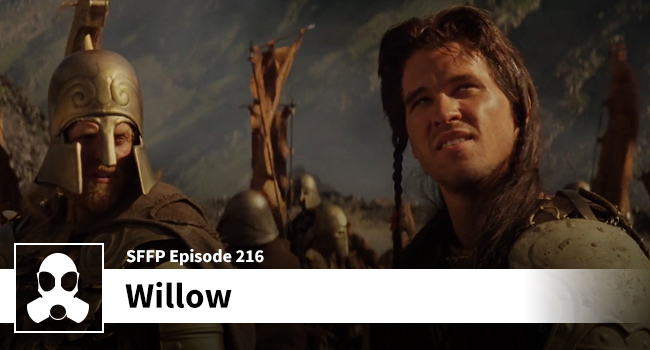 Matthew and Dean talk Willow and you will likely not be surprised to learn that they talk about the following: Diakini supremacy, Ron Howard’s cruel treatment of the pecks, Dean’s secret desires for Val Kilmer, Willow the do-nothing hero, and lots of low-blows on Willow and the rest of the 80s fantasy genre. If you are looking for reverence… look elsewhere, the lads take the piss out of this one at every turn. Sorry, not sorry.